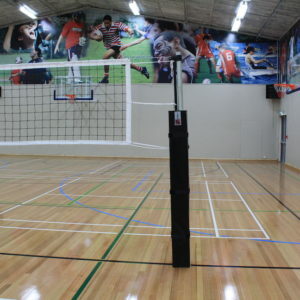 Gecko’s heavy duty volleyball net systems are perfect for your team’s trainings and competitions. Our thick and durable volleyball nets are made to last. 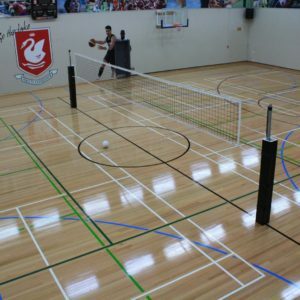 Choose from our range of customisable volleyball equipment including volleyball poles and volleyball pole pads, available in a range of colours to enhance your venue and reflect your brand. Gecko has everything you need for your volleyball court, including umpire stands, trolleys, and more. See our full volleyball equipment range below. Looking for badminton gear or sports equipment accessories for your gym? Check out our product options to view our full line of quality sports equipment. Do you have specific requirements? Get in touch to discuss all of our custom options.